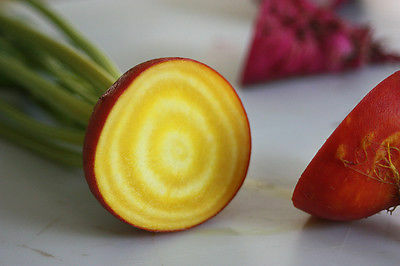 Outstanding top-shaped beet, extremely sweet and mild. 'Touchstone Gold' does not bleed. Yellow flesh with orange skin retains color when cooked. Tops are sweet and delicious. Roots are more uniform in size with less zoning, seed is higher in germination compared to other Golden beets.